this region is coming up and can not be explained. Attack 2 : Starters Unite!!! all 3 starters unite and use their most powerful attacks to defeat their opponents. 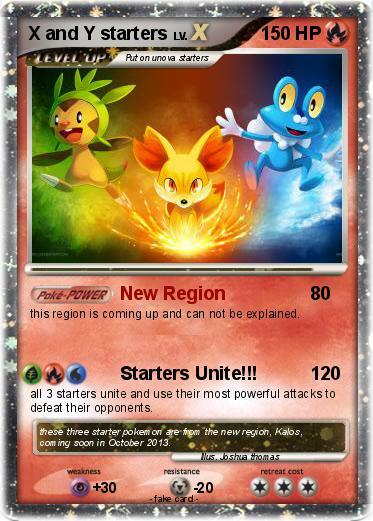 Comments : these three starter pokemon are from the new region, Kalos, coming soon in October 2013.